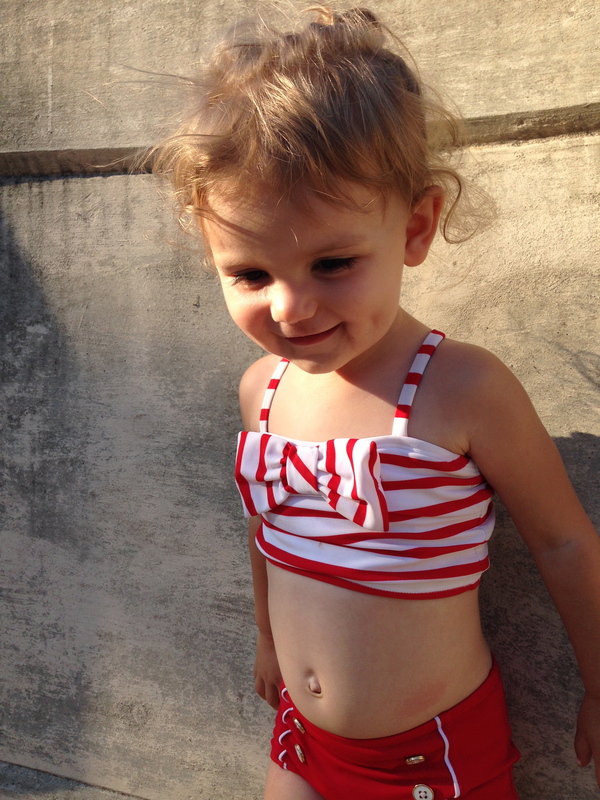 One of my favorite things to buy Charlotte is bathing suits. 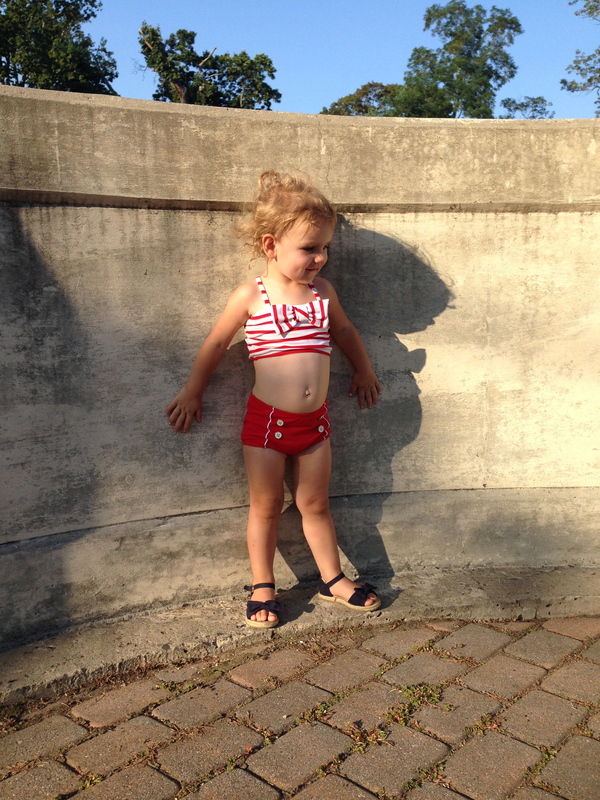 There is something so adorable about a little mini bikini with a big, ugly diaper sticking out. Her god father bought her the CUTEST bathing suit for her first birthday and I’m so glad Kennedy will get to wear it next summer! Being able to pass down clothes they got to wear like once or twice is a wonderful thing. Anyway! Bathings suits just get cuter as they’re getting older. Behold. I mean COME ON! When I saw this bathing suit in the store I immediately fell in love. I’m into anything vintage looking or nautical this summer, especially on Char! This particular suit is no longer available, but now is a great time to shop end of the season sales for great pieces for next year. By the way guys, I had an extremely fun collaboration and MAJOR giveaway coming to the blog next week! You do NOT want to miss out on that! Previous PostPrevious Cozay in Chambray!